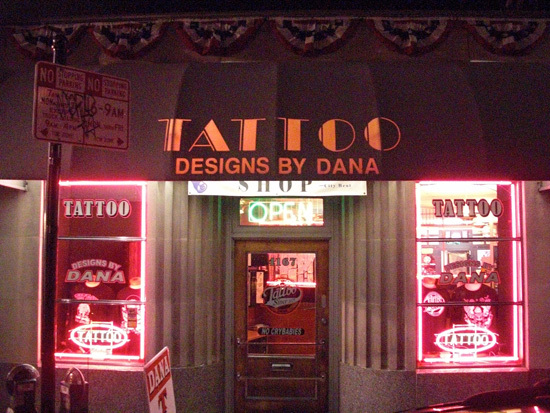 Dana started tattooing in 1971 and moved to Cincinnati in 1977. After working Downtown for many years, he opened the doors of his Northside tattoo studio in 1986, after purchasing the 1930's Art Deco style bank building. Here the tattoo business grew to include his wife Dot, son Jason, and numerous other artists who are also part of their "tattoo family." Little did they know when they bought the building what a great artistic and eclectic neighborhood Northside would evolve into...The perfect place for us to be and we like to think that we are part of the reason for some of the changes. It's been a great partnership. 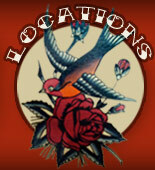 Check out our other shop in Covington, KY.